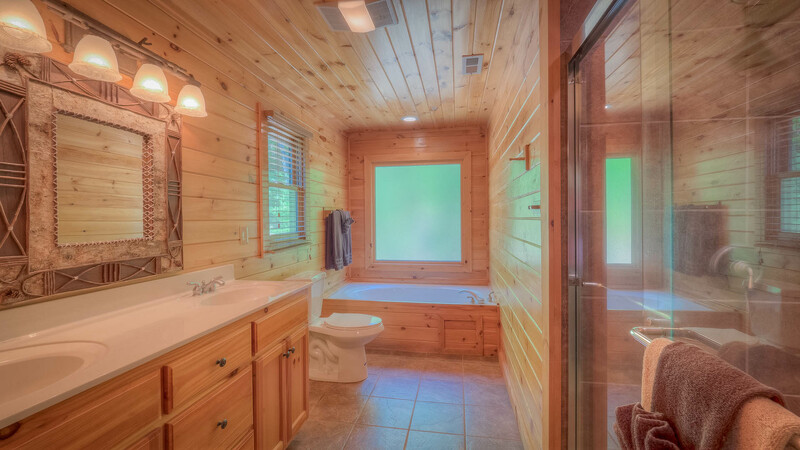 Prepare to have your breath taken away when you enter Big Sky View! 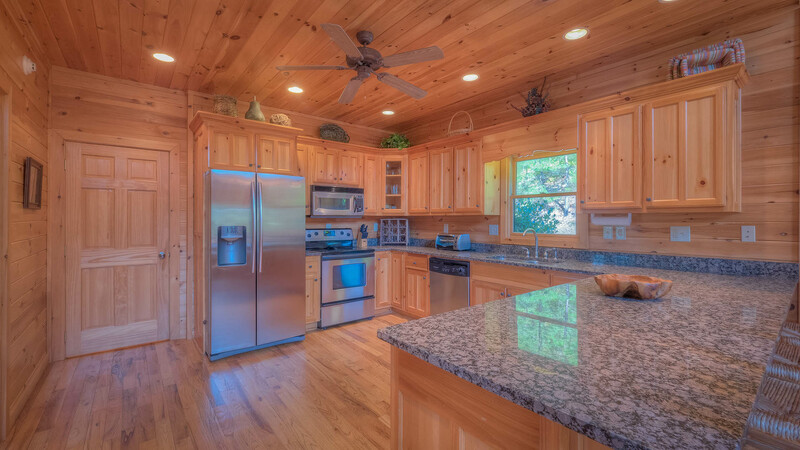 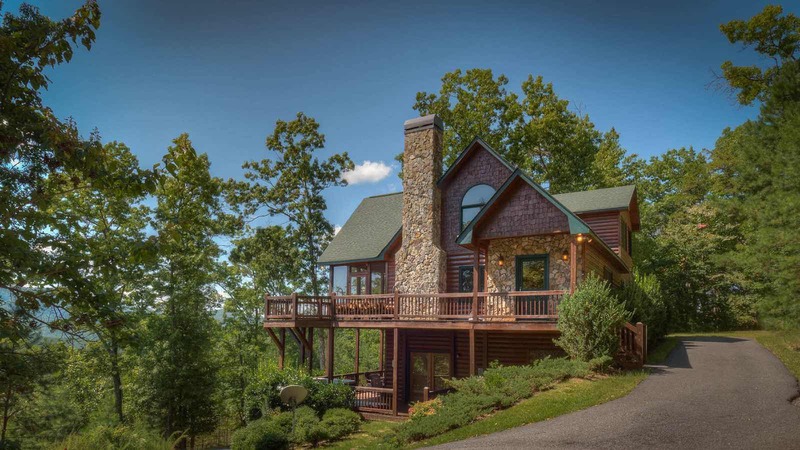 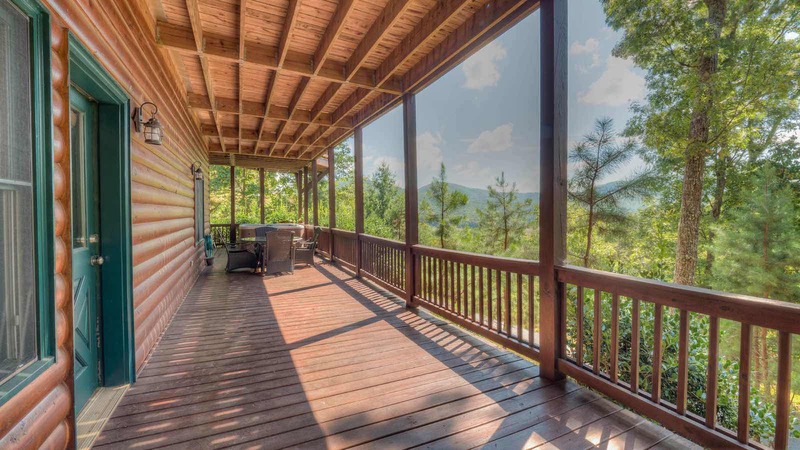 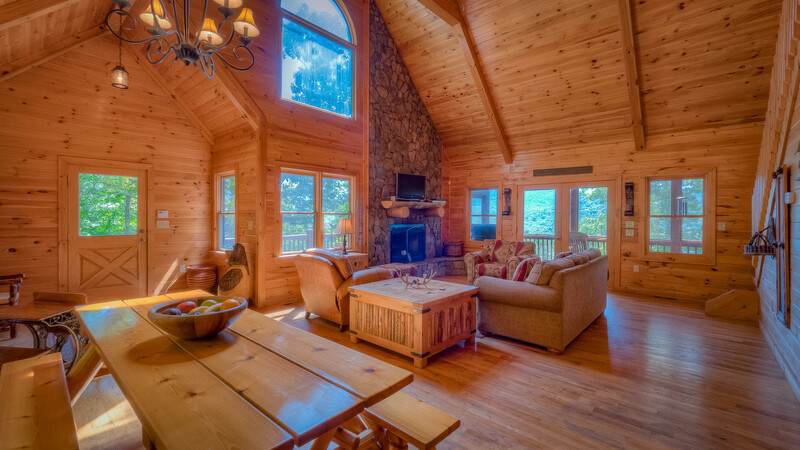 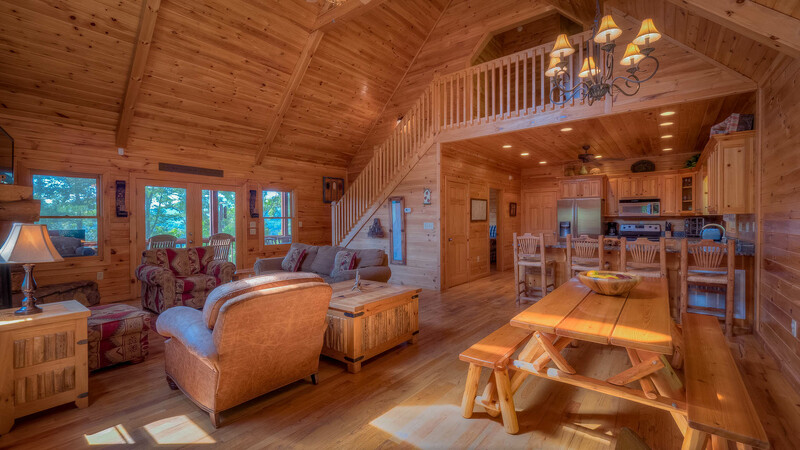 This spacious cabin has everything you need to make your mountain getaway completely unforgettable. 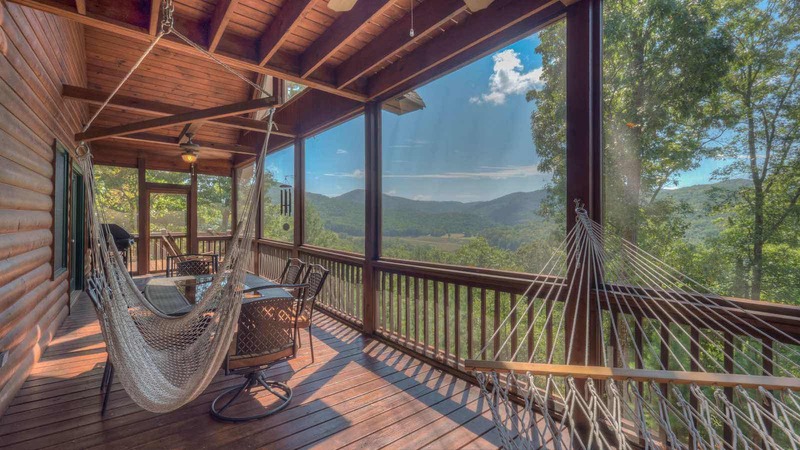 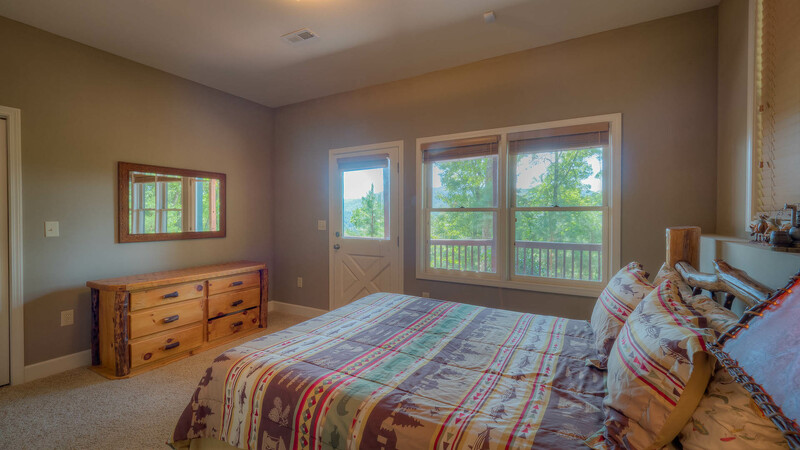 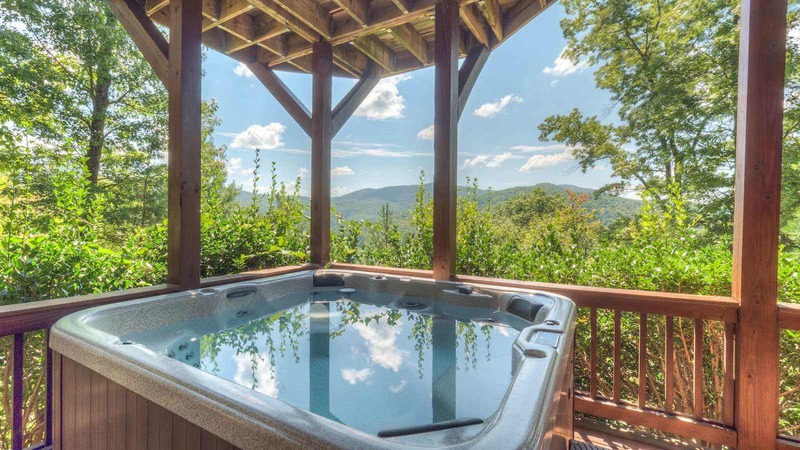 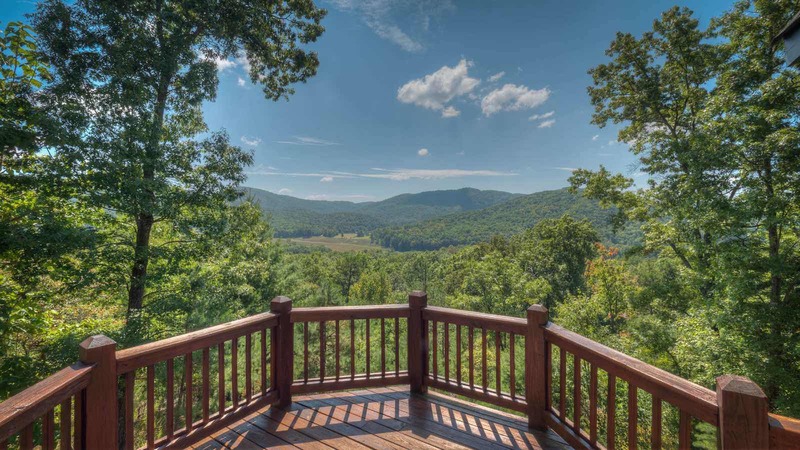 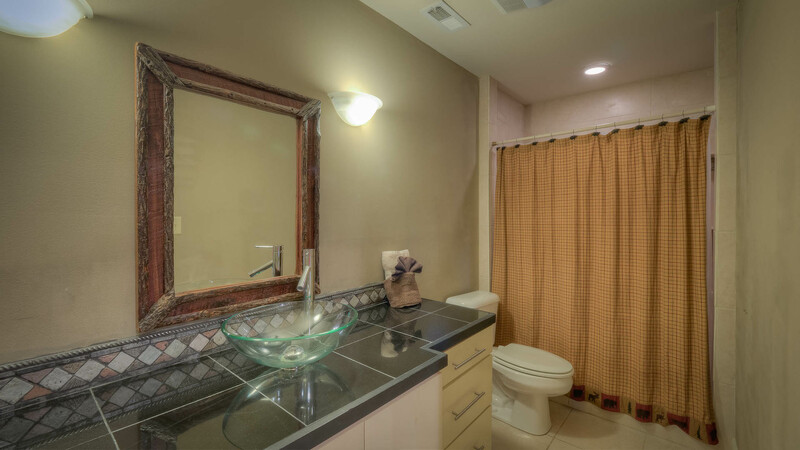 The upper level features the master suite with a king bed, a television, French doors that open up to a private screened deck overlooking the rolling mountains and a private bathroom with a large garden tub and tiled shower. 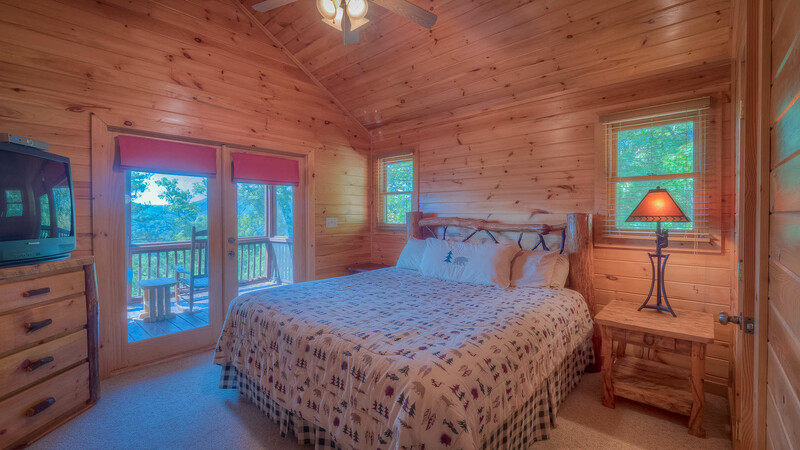 The main level has the fully equipped kitchen with granite countertops and stainless steel appliances, a dining area, one bedroom with a king bed and television, one standard bathroom and an inviting living area with comfortable sofas, a flat panel television, a rocked wood burning fireplace and high cathedral ceilings. 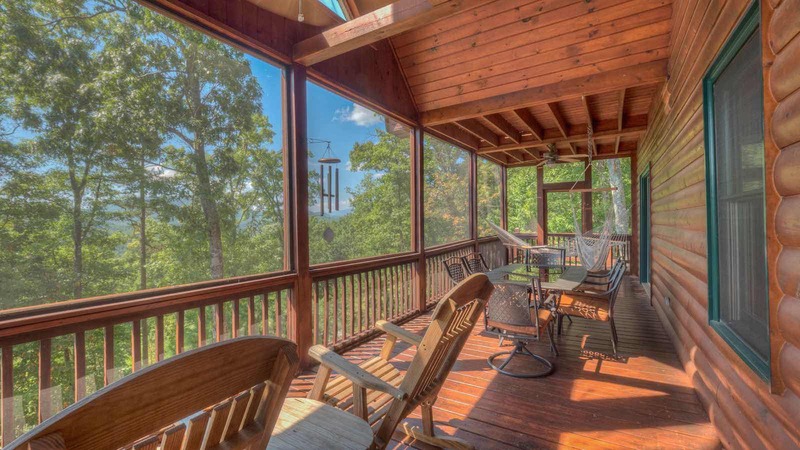 Just outside the main level living area is the screened porch with patio furniture and large hammock. 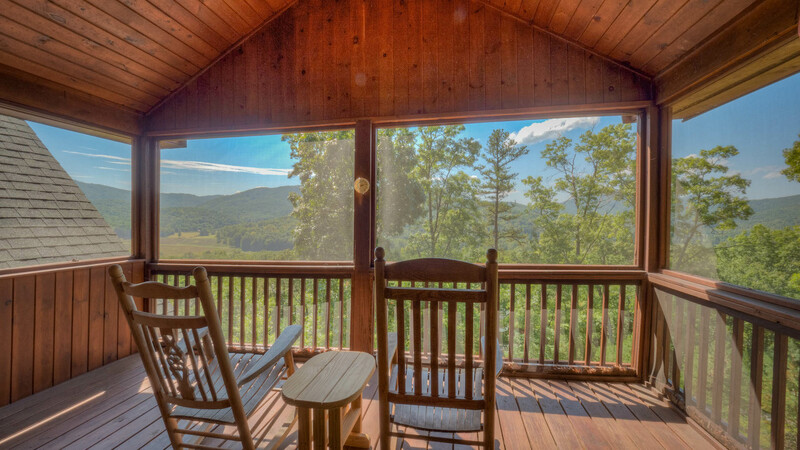 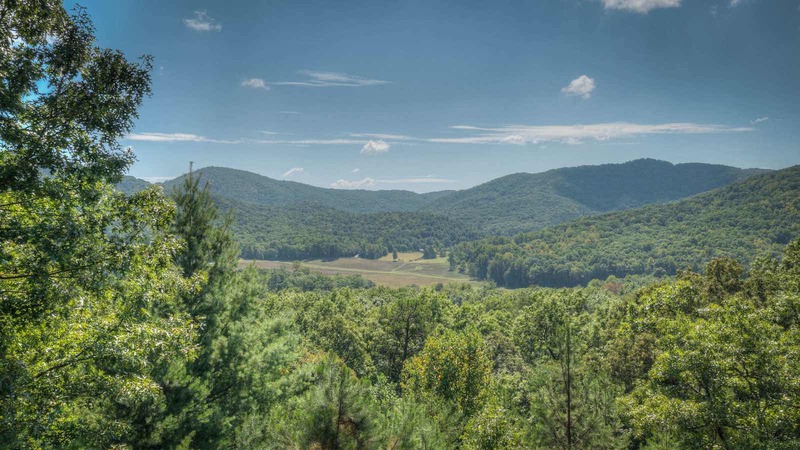 This is the perfect space to rest, relax and thoroughly enjoy the peace and quiet of the gorgeous mountains. 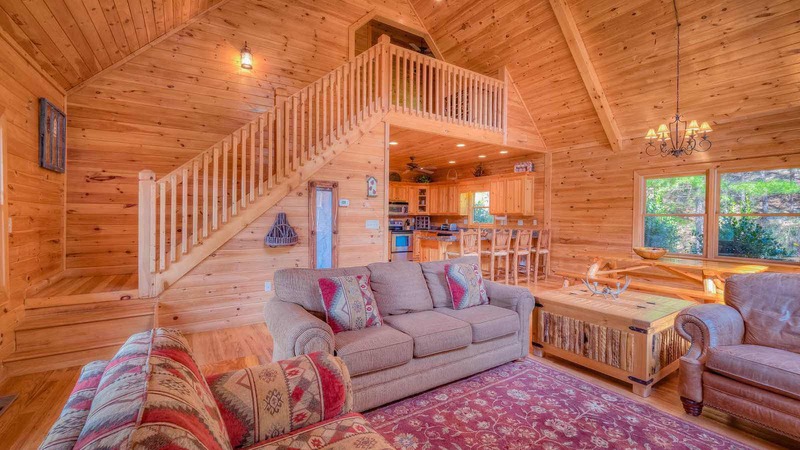 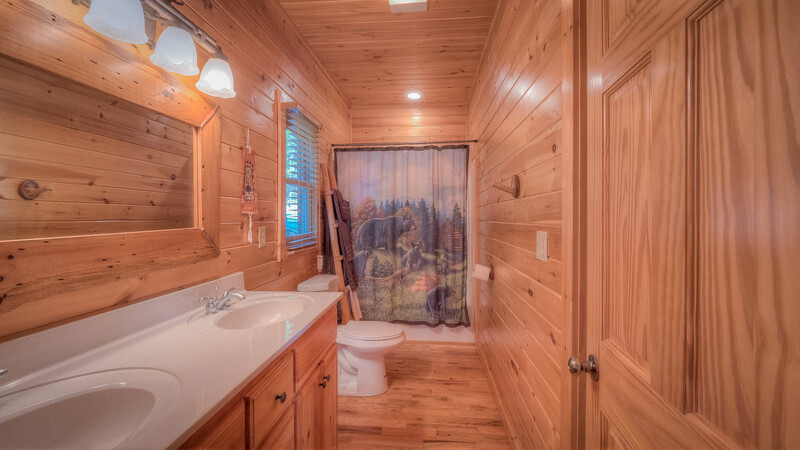 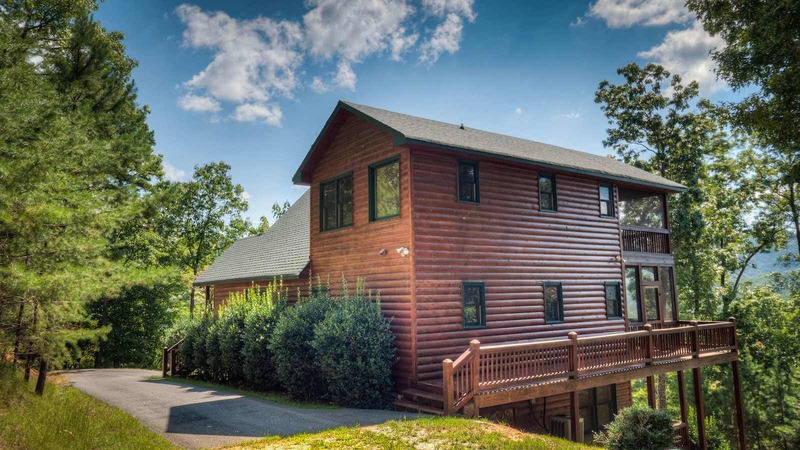 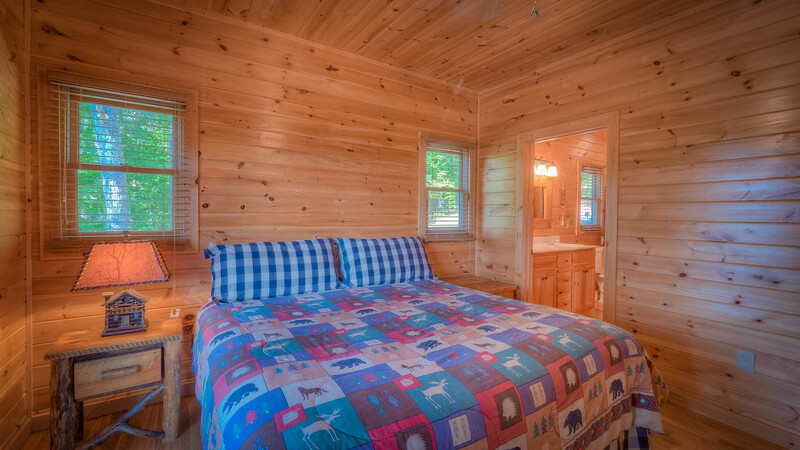 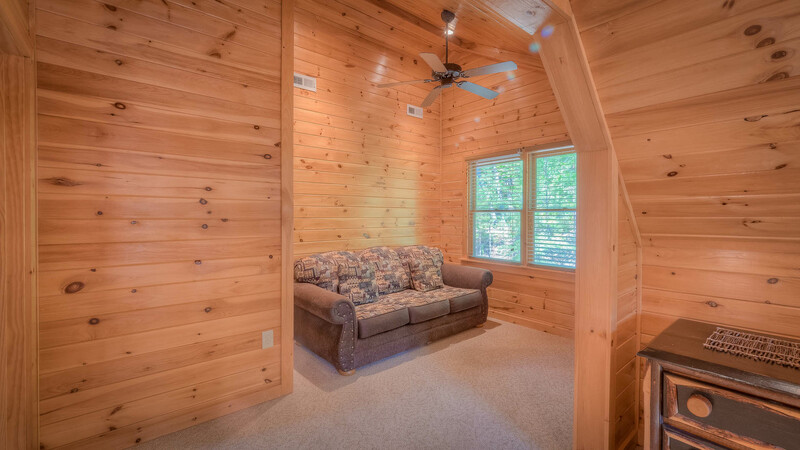 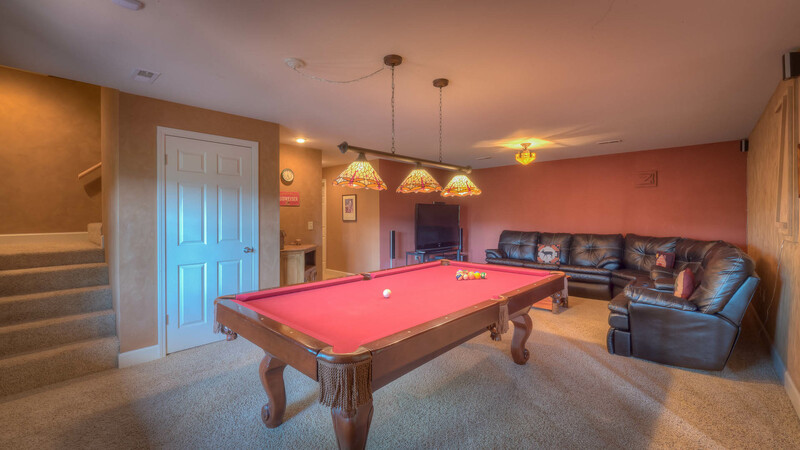 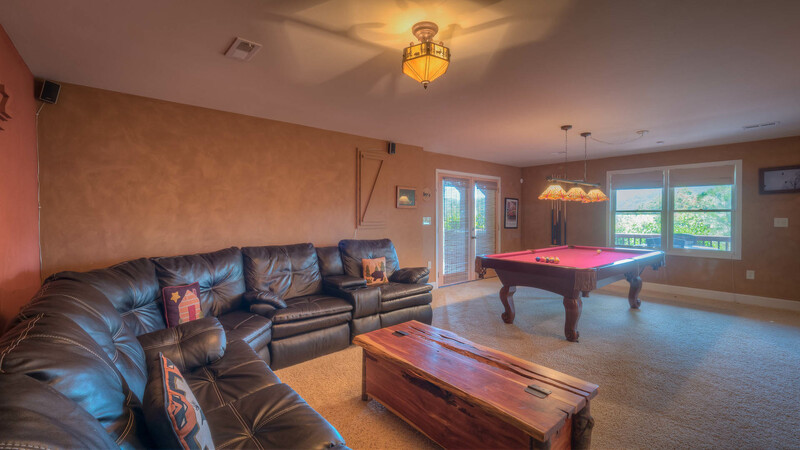 The lower level of the cabin has one bedroom with a queen bed, one standard bathroom and an entertaining game room with a pool table, high def flat panel television and leather sectional sofa with recliners making it the ultimate hang out! 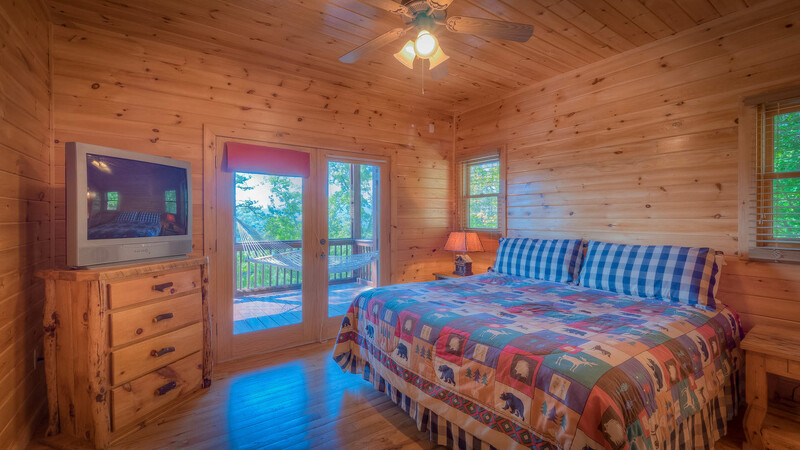 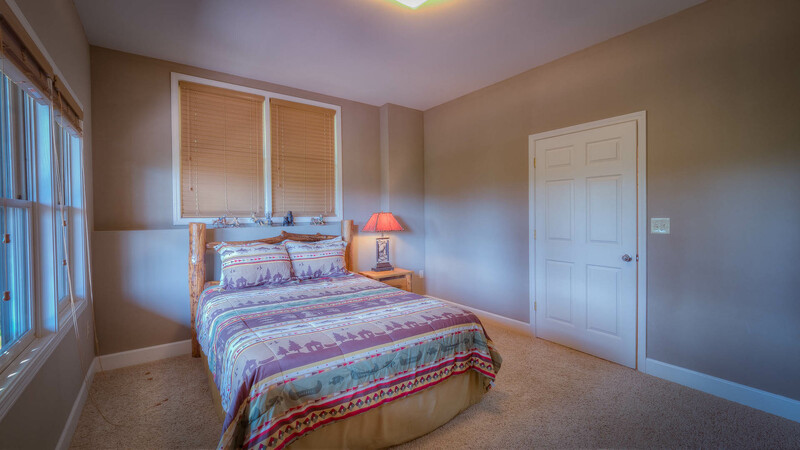 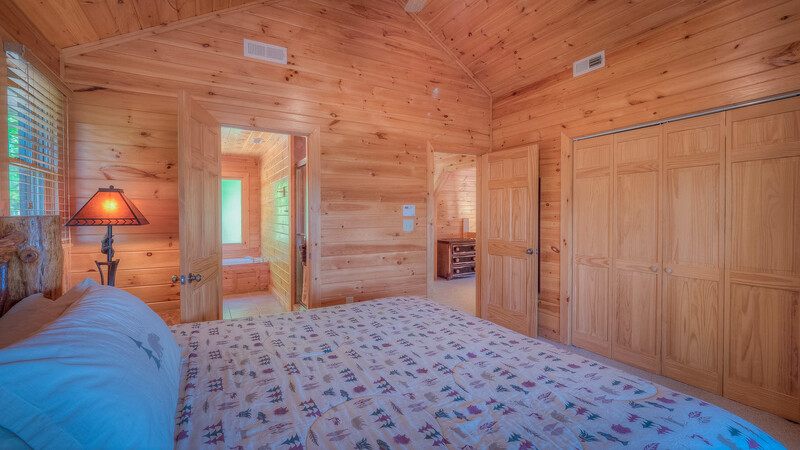 Once you have stayed at Big Sky View, you won't dream of going anywhere else!